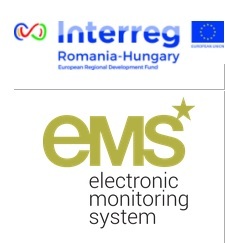 The Interreg V-A Romania-Hungary Programme announces the signing, by the Ministry of Regional Development and Public Administration in Romania as Managing Authority, of 6 new Concept Note financing contracts, selected in the frame of the Restricted Calls for flagship project proposals. The 6 contracted projects have a total value of EUR 1,070,187.09, out of which EUR 909,659.01 from the European Regional Development Fund. The allocation of ERDF funding is of EUR 341,134.84 for Romanian beneficiaries, respectively EUR 568,524.17 for Hungarian beneficiaries. The contracted projects concern initiatives regarding investment in health infrastructure (Investment priority 9/a), natural and cultural heritage (Investment priority 6/c), respectively employment-friendly growth through the development of endogenous potential (Investment priority 8/b). 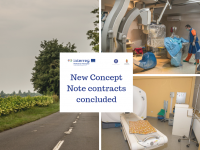 For details on the 6 contracted Concept Note projects, click here.